British grown flowering begonias make the perfect centre piece with our brand new ceramic. 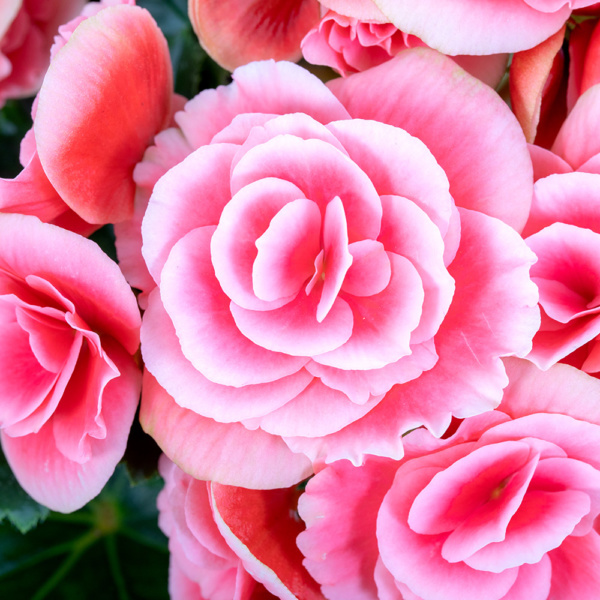 We are so pleased to introduce our very own British grown indoor begonias. These stunning, heavily flowered plants are the perfect addition to a table or sideboard. 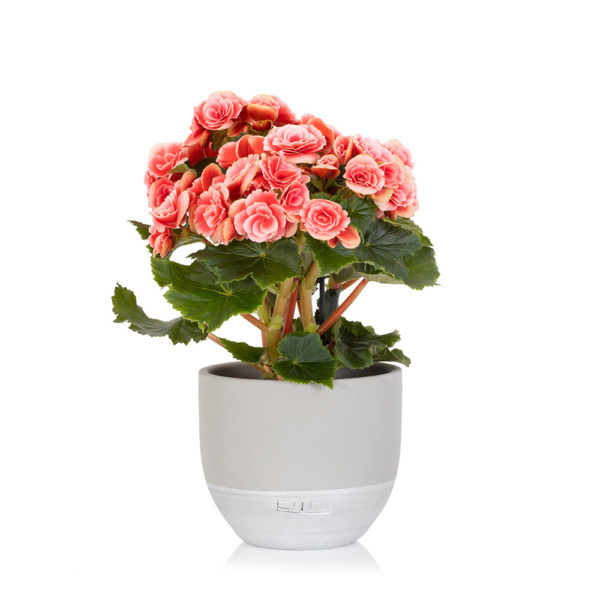 Our begonias will be delivered to you in one of our stunning new ceramic pots, in light grey with a silver dipped base. 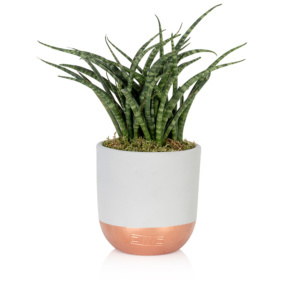 This variety is a bi-colour light pink, double-flowered plant known as Borias. 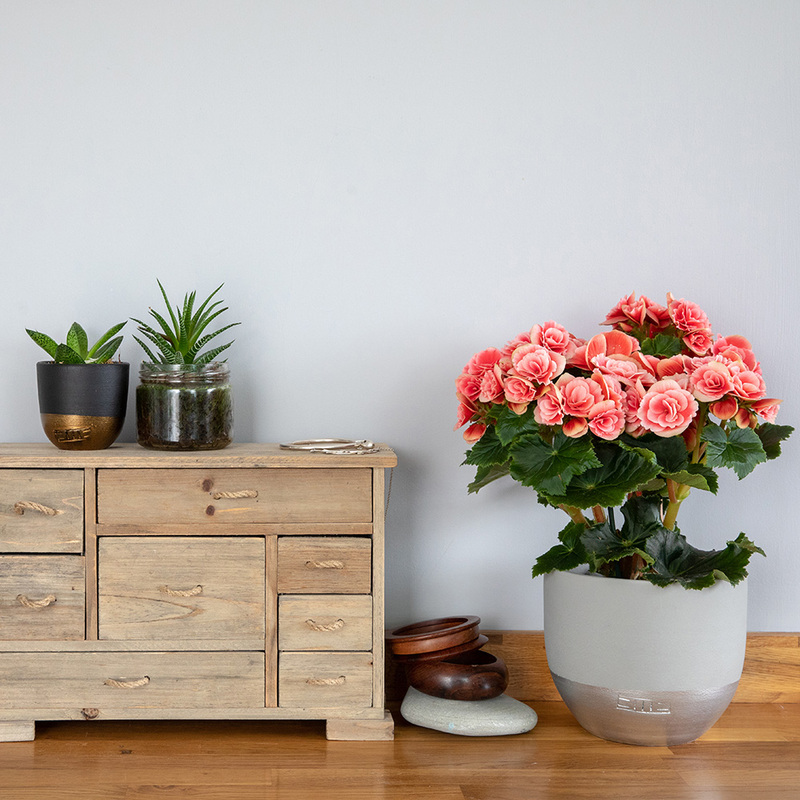 A flowering begonia is a great value option if you are looking for some floral beauty to brighten up a space and want a longer lasting option than a bouquet. 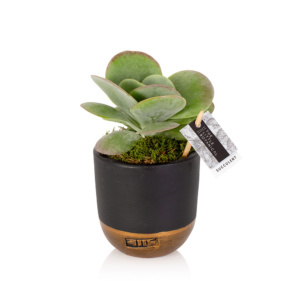 And then when its last flowers drop you get to re-use our stunning ceramic pot time and time again! 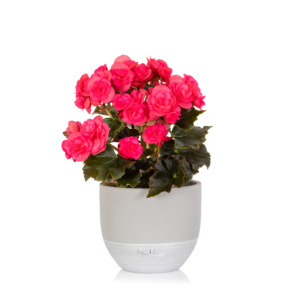 Please water this Begonia once or twice a week. Dead head any brown flowers to promote new flowers to grow. If the plant gets a little top heavy, reposition the canes to support the plant. Position in a light space, but not constant direct sunshine, as this will dry out the plant and burn the leaves. 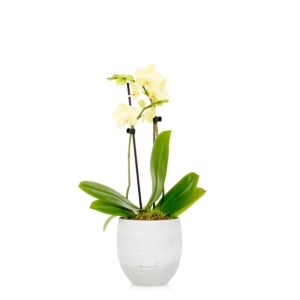 I like a bright airy room and lots of water, and in return I will give you lots and lots of flowers!